It’s been a while since my last post. January to be exact. I realize I’m supposed to be more on top of it than that, but I do have a few good excuses, the first of which is I SOLD MY BOOK!!!! I have included a prototype of the book cover (it’s still being designed, but this is my vision). War Eagle Women is (in the process of) being published by SoulMate publishing. I don’t have an exact date yet, but when I do I will post it here. Everything has been totally nuts since I signed the contract and I have been super busy with other writing projects (hello graduate school) and have let my blog sort of simmer on the back burner. On another note–I’m going to Shanghai in just a few weeks!!!! I know. That is a bit random. But since I decided to title this blog “Transitions”…I’m going to cheat a bit and not use any. Dr. Ann Beebe, who taught me (almost) everything I know about academic writing, might be annoyed by my approach to this sentence because I didn’t use a transition. I still remember getting a paper back from her that said in the margins, “Tina–how can I get you to use transitions?” So whenever I don’t use one…I hear the Voice of Professors Past. Or at least Dr. Beebe’s voice (this is my way of saying “thanks”, just in case I’m not being clear). But right now I am just too excited to use transitions. Although I am not MOVING to Shanghai, I do have to make certain “transitions” about how I think as a Southern woman…at least for the time period that I will be Southern Woman Tourist in Shanghai. But I’m getting ahead of myself. About Shanghai…I’m going to be an exchange student of sorts for 3 weeks! I get to go to a university in Shanghai during the week and do touristy things during the weekend. I am beyond excited, and a little afraid. The Mandatory Trip meeting we had which was meant to reassure us really only reassured me that I was more nervous. Have I mentioned that I have never traveled outside of the country? Well, except for that one trip to Cancun years ago, which I kind of don’t count (since Mexico is connected and lots of margaritas were involved). This Shanghai trip is sort of this dream that’s becoming a reality and I have not really allowed myself to think about it, except for busywork such as getting my passport and applying for a Visa and all that good stuff. Overall, I’ve been feeling pretty good about the whole thing. Then…the meeting happened. OY the meeting. Our instructor who is organizing the whole thing gave us lots of advice meant to make our trip smoother. Everything she said was useful and necessary. However, there was a bit of Southern (or as Dr. Wu would say East/West) cultural shock happening during the meeting. There was a bit of…disconnect…between what she was saying and what I actually heard. 2. “When you take a taxi, or bus, or train, bring this list of phrases with you so you can communicate in case you get lost.” (My translation: WHEN, not IF I get lost…I’m not feeling too confident seeing as I couldn’t find my car in the parking lot earlier. Note to self: Don’t take a taxi/bus/train. Just stay in the dorm room with the ebola water. Much safer). 4. “There’s no crime in Shanghai, per se…but keep your purse in front of you because there are some issues with pickpockets, so find a way to keep your passport/money on your person.” (My translation: WHEN I GET ROBBED my plan is ROLL OVER INTO A FETAL POSITION. Or, get a bigger bra (one with a special Passport Pocket) and extra sweat pads). Sick. I know…I know. I am totally freaking out just a bit. I know this trip is going to be AWESOME and I am going to share all of it with you all. When I get back. After I get back. Because of the internet thing. Everything is going to be fine. I just have to remember my transitions. So excited to know a published writer! I will definitely read this book when you get it out into print. Let us all know. Thanks for giving props to Beebe. That lady rocks so hard. Welcome back to the blogging world. I hope your trip is filled with amazing adventures and life long memories. 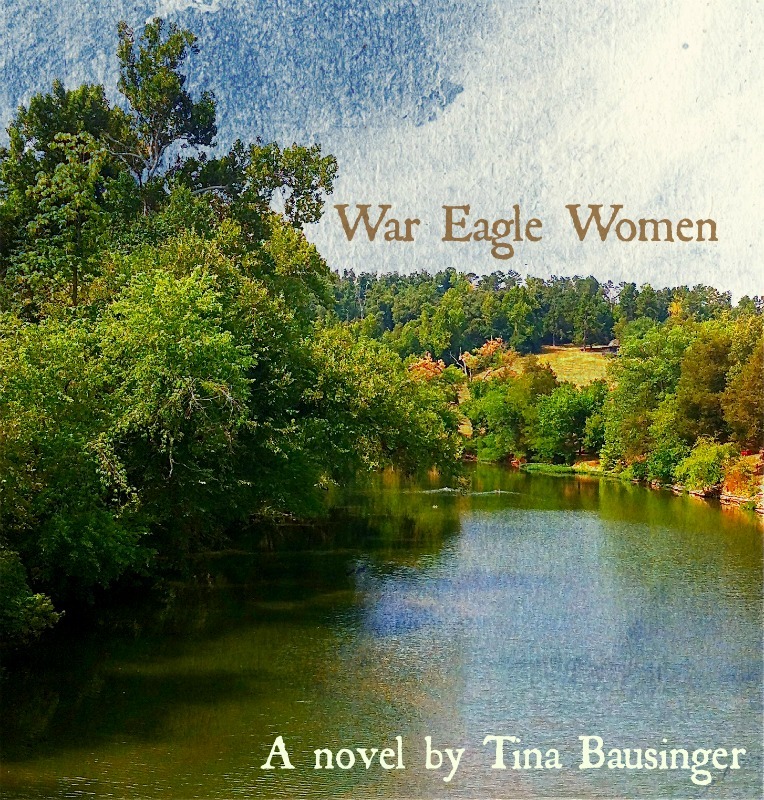 I can’t wait to see War Eagle Women in bookstores everywhere. Keep up the great work, you are truly an amazing writer and friend! Shanghai sounds wonderful! Breathe, Tina! You will have FUN! Just boil water first! The internet thing puzzles me. Anyway, probably safer than a large US city overall.